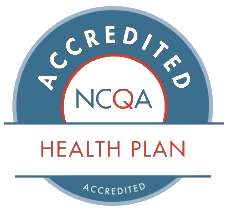 CareSource credentials providers using guidelines from the Kentucky Department of Insurance and the National Committee for Quality Assurance (NCQA). Our Vice President/Senior Medical Director is responsible for the credentialing and recredentialing program. The Kentucky Department of Insurance allows the Council for Affordable Quality Healthcare (CAQH) application to be submitted in lieu of the KAPER-1 form. Please provide your CAQH number and National Provider Identifier (NPI) number to CareSource. Make sure CareSource Marketplace Kentucky listed as an authorized health plan. For questions about credentialing, call CareSource at 1-855-852-55581-855-852-7005 and follow the prompts to be directed to one of our Credentialing staff. You can leave a detailed message, and one of our staff will return your call within threebusiness days. We can research the status of yourapplication in the credentialing process or what documents might still be needed.